Literally everything about the wedding of Prince Harry and Meghan Markle, now the Duke and Duchess of Sussex, was pretty darn magical. The service, the wedding dress, the vows, the first kiss on the steps of St. George’s Chapel — all of it was so dreamy. But the one part of the royal wedding the world didn’t get to see was the reception. 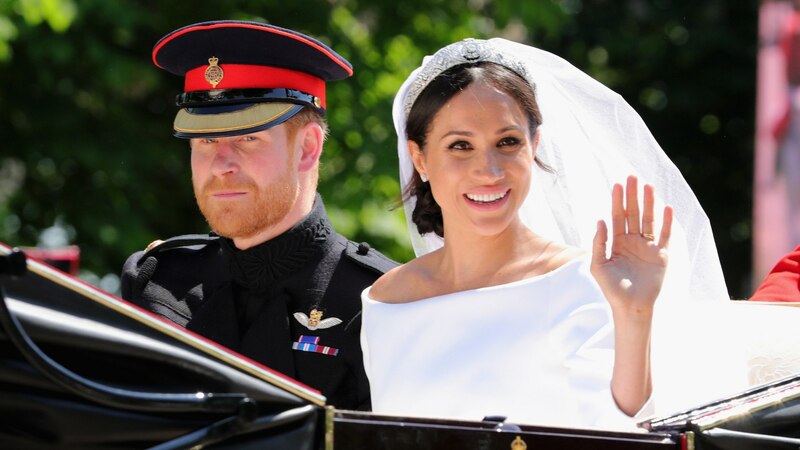 We’re only now hearing about how things went down once Harry, Meghan and their family and friends gathered on the evening of May 19, and from multiple reports, this was truly the party of the year. We already knew the royal wedding reception would be intimate, if not star-studded and stacked to the rafters with royalty. But what we didn’t know — until now — was just how fun and relaxed the whole shindig would be. After everyone got through the more formal afternoon reception, things apparently really kicked off at the second reception at Frogmore House. The Sun reported that among the many fun things happening there, Serena Williams dominated at the beer pong table that was set up. So, basically, this royal wedding reception was the classiest, coolest frat party, where Williams was schooling all the guests in beer pong, and we don’t have photo evidence of it? Not fair! But Williams wasn’t the only celeb going all out that evening. According to Entertainment Tonight, George Clooney got behind the bar at one point and played bartender for the guests in attendance. Sure, it makes sense that Clooney would feel comfortable making a mean mixed drink (he is part owner of a tequila company, after all), but doing it at a royal wedding reception is next-level bold — and we love it. As a source reported to ET, “‘George hopped behind the bar and was actually bartending for a bit. He poured Casamigos drinks and shots and got everyone dancing! '” Way to be, Clooney. Way. To. Be. Because no reception is complete without good music, the royal couple’s pal Idris Elba stepped up to the DJ booth to liven things up, according to People magazine. This also makes a bit of sense because when he’s not acting, Elba is pursuing his other passion, DJing. That said, this was a bold move and again, we are here for it. These details have us dying to see photos and videos of it all going down. If you were lucky enough to attend this reception, maybe send something our way? Pretty please?